An Easy Quick Strawberry Coconut Milk Smoothie You’ll Love! 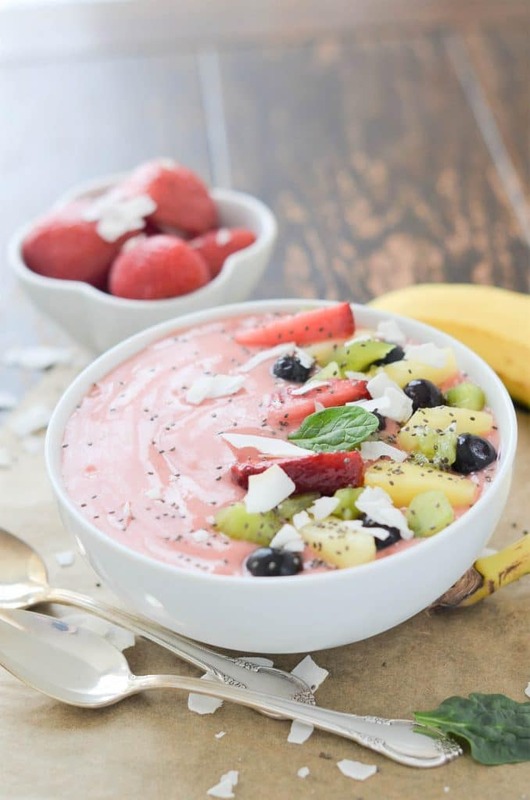 Home » Breakfast » An Easy Quick Strawberry Coconut Milk Smoothie You’ll Love! Enjoy this Super Easy Strawberry Coconut Milk Smoothie that is also paleo, dairy free, and gluten free! 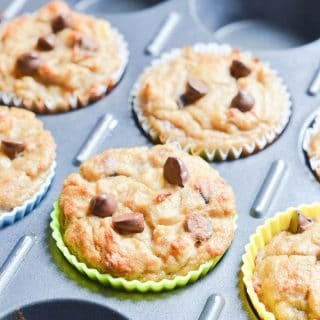 Healthy, kid-friendly and tastes like a dessert! Even if you LOVE fruit, it is still challenging consuming the daily recommended dietary guidelines. And, how can you guarantee you get all those servings? And kids can be especially picky about trying and eating fruits and veggies. 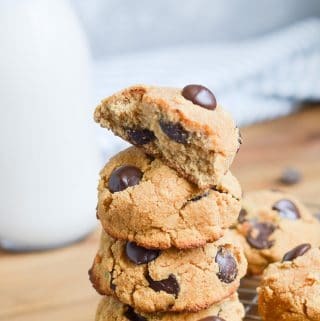 Is there a delicious way to get several servings at once? 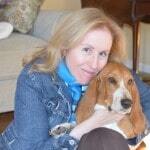 So, we have to get creative…and smart! As a kid, I drank too many instant strawberry shakes for breakfast, made by mixing a store bought powder concoction with either milk or water. Bleh! Way too sweet and unnatural tasting. Plus, artificial ingredients. A strawberry coconut milk drink would have trounced a back in the day powdered strawberry breakfast drink! Growing up near farms, on eastern Long Island, I did quite literally have great access to fresh fruits and vegetables. So, why the instant strawberry drink? Two important elements – quick and easy. Mid-June brought the annual Strawberry Festival to the area. Carnival rides, strawberry shortcakes galore, and the crowning of the Strawberry Queen were highlights of the festival for me. Plenty of fresh, delicious strawberries. The first time I made this smoothie, I knew smoothies made with coconut milk were a great idea. Then came a smoothie that tasted like Egg Nog. Too good to be true. But, a delicious healthy strawberry coconut milk dessert would have also been amazing! Have your favorite smoothies all year, not just when fruit is in-season. 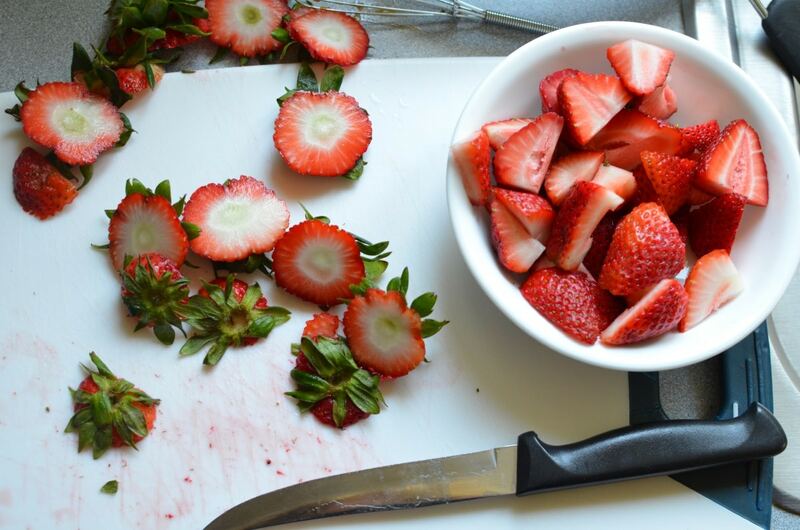 Strawberries made the top (#1) of the EWG’s list of produce that should be purchased organic. The list is stating that a lot of pesticide residue on conventional strawberries. 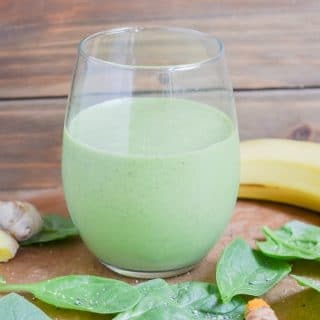 My Apple Pie Smoothie is made with organic apples and Ultimate Green Smoothie is made is organic spinach since they also made the “dirty dozen” list. The reason I don’t buy organic bananas? 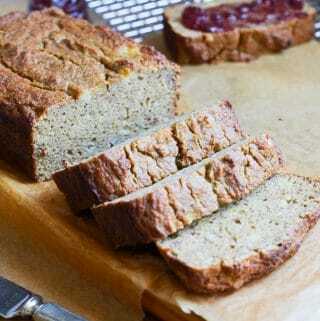 – bananas have a thick skin which must be peeled off to get to the fruit. However, with strawberries, you are eating the “skin“. Bananas are also farther down, at #31 on the dirty dozen 2017 list. As I am in the habit of buying organic sweet potatoes, I noticed they have moved down on the list at #35. Even though I peel the skin, I will probably still continue to buy organic to make my Sweet Potato Smoothie recipe. The decision to buy organic is an individual one based on what is available in your area. Using frozen strawberries and bananas yields a more creamy, milkshake consistency. For extra plant based protein, try adding a tablespoon of hemp seeds. 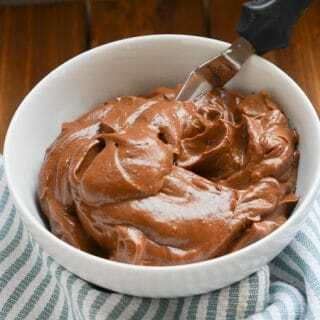 Simply combine all ingredients in a blender and let it whirl for a few minutes until the desired consistency. If it seems too thick, just add more ice cubes or water. 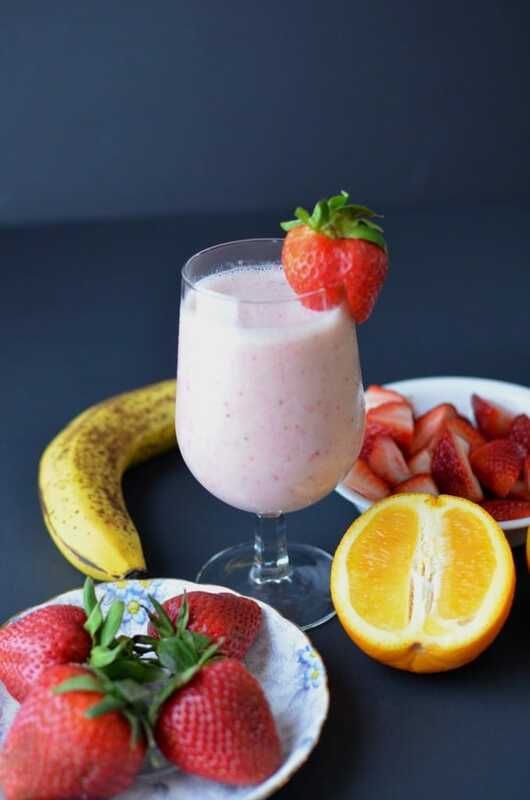 What you will need: 1 ripe banana (fresh or frozen), 1 cup strawberries ( fresh or frozen), 1 cup organic coconut milk (you could substitute any non-dairy milk), 6 ice cubes and 1/2 orange (or sub 1/4 cup orange juice). Place all ingredients in a blender and blend until smooth, creamy and frothy. 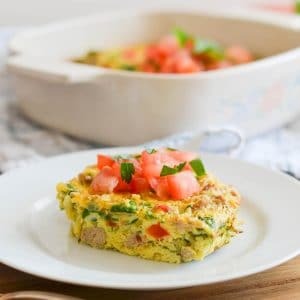 As a quick breakfast for those on the go, commuters, and kids getting ready during hurried mornings. 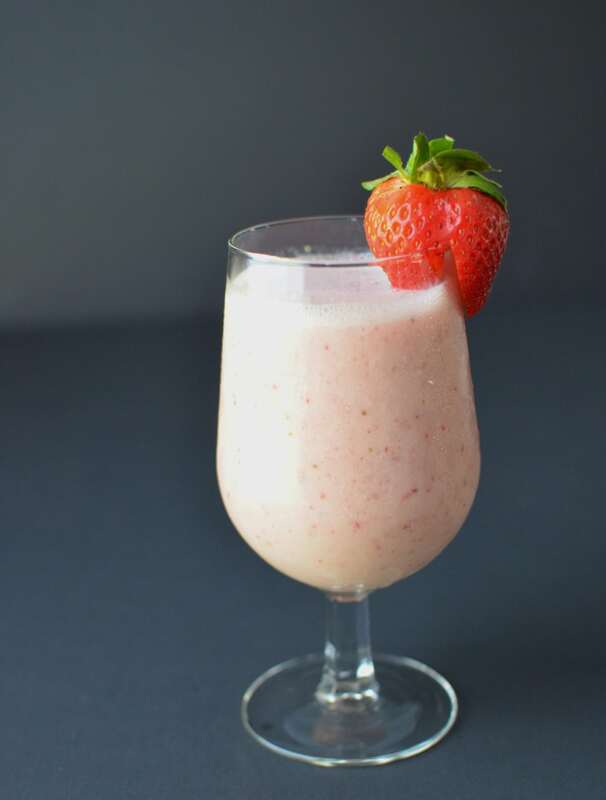 This strawberry banana coconut milk smoothie can be stored in the refrigerator for later (but best used within the same day). An Easy Quick Strawberry Coconut Milk Smoothie You'll Love! 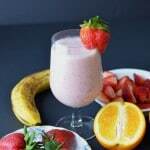 Enjoy this delicious, fruit smoothie, which is perfect for a snack, breakfast, or dessert! Berries and fruits are a great source of anti-oxidants! 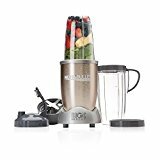 Place all ingredients in a blender and blend for a few minutes until the mixture becomes smooth, creamy and the desired consistency. 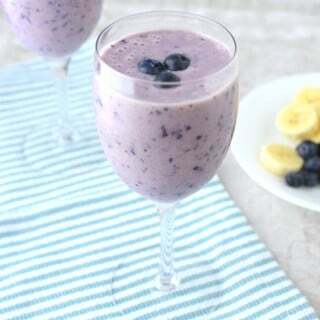 Pour your smoothie into a glass and enjoy! Top with strawberry or other fruit slices. 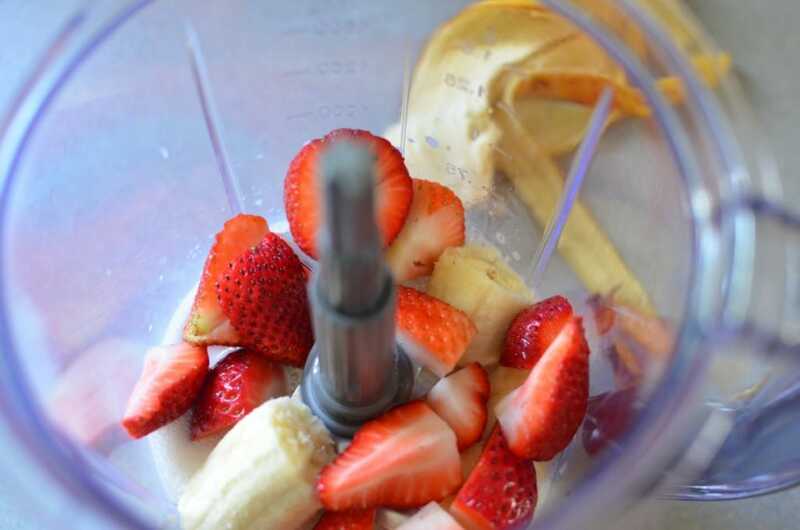 Smoothie can be prepared ahead and stored in the refrigerator. 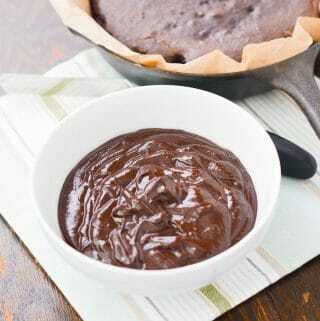 Previous Post: « How to Make Gluten Free Baking Powder – Easy! I made as recipe said & it is yummy. I don’t care for bananas in things, & this didn’t much taste like strong banana so I liked it very much. Was a great afternoon snack! I love that these are made with fruit that’s not too expensive to buy. With 4 kids that’s one of the problems I run into. My kids can eat like $25.00 worth of fresh fruit in one sitting. Yes, Amy, I completely understand! My daughter is such a smoothie queen, she’s going to love this – especially with the coconut milk. For me, I’d add a little cream of coconut and a shot of rum! Hi Lisa – Ha! Love your idea!